Imagine you are stuck in your opponents guard. After a tense grip exchange you finally find your opportunity to pass. Boom!! You're in side control...Now it's time to attack! Don't Get Hexed! 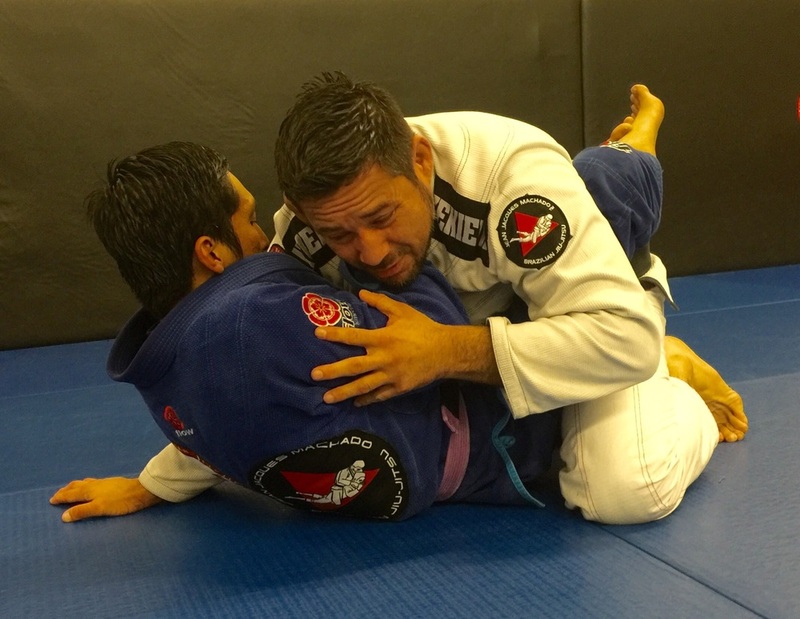 If your not familiar with what a Hex Grip is, here you go..
You're stuck in your opponent's closed guard. You accidentally leave your head too close, then suddenly your opponent overhooks your arm, grabs a cross collar grip and now your fighting for your life against a wicked cross collar choke. You attempt to pull your head away, but this allows your opponent to attack your overhooked arm! WHAT DO YOU DO NOW?!! First, remind yourself next time to never fall in the "Strike Zone". And If you are not aware of the "Strike Zone", refer to Blog #3 and stay tuned for the next couple of Blogs that will be discussing this important subject. Now, back to the task at hand.. There are several ways a cross choke is applied. However the most common application of a cross choke involves your opponent pulling his arms outward while applying pressure with his grips. This is where "Framing" becomes a priceless concept you need to know. Framing allows you to structurally block or withstand your opponent's pressure, or in this case his collar choke attempt. Framing can be described as using your arms like posts to hold up weight or block pressure. Next time you are at a beach, look at the pier. Thousands of pounds are supported by the wooden posts underneath, and that same structural concept opens doorways everywhere in Jiu Jitsu. Caught in the trap! 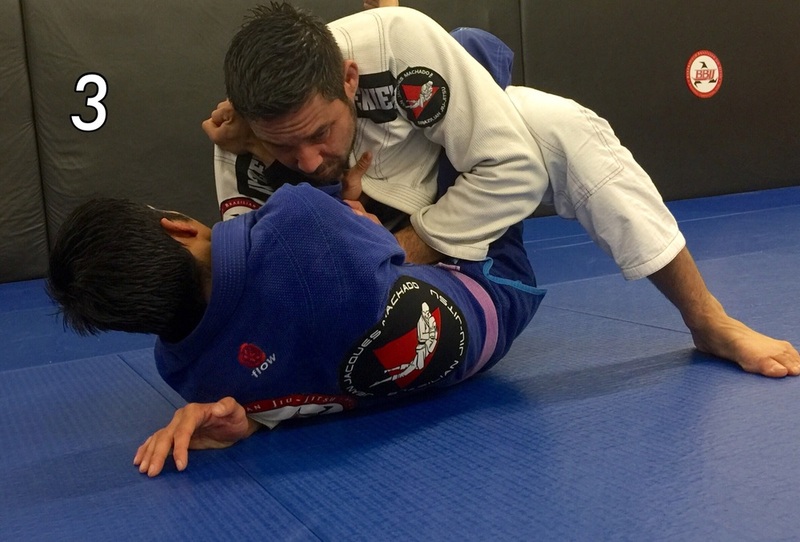 A Cross choke with your arm overhooked. Here are Steps to block the choke..
Place your elbow against your knee, and your palm against your opponent's upper arm. Use your knee to push against your elbow and post your hand against your opponent's upper arm. With both your leg and arm working together your opponent's arm can not apply pressure for the cross choke. You have crushed the choke. "Framing" can be used in many scenarios. Below is another example of how to use a Frame against a smash pass. 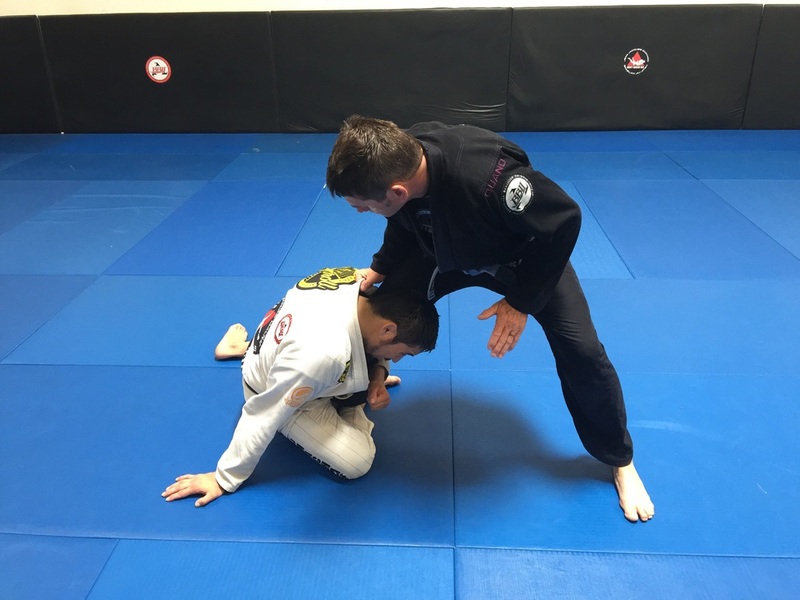 Post against your hip to stop your opponent from collapsing your legs. 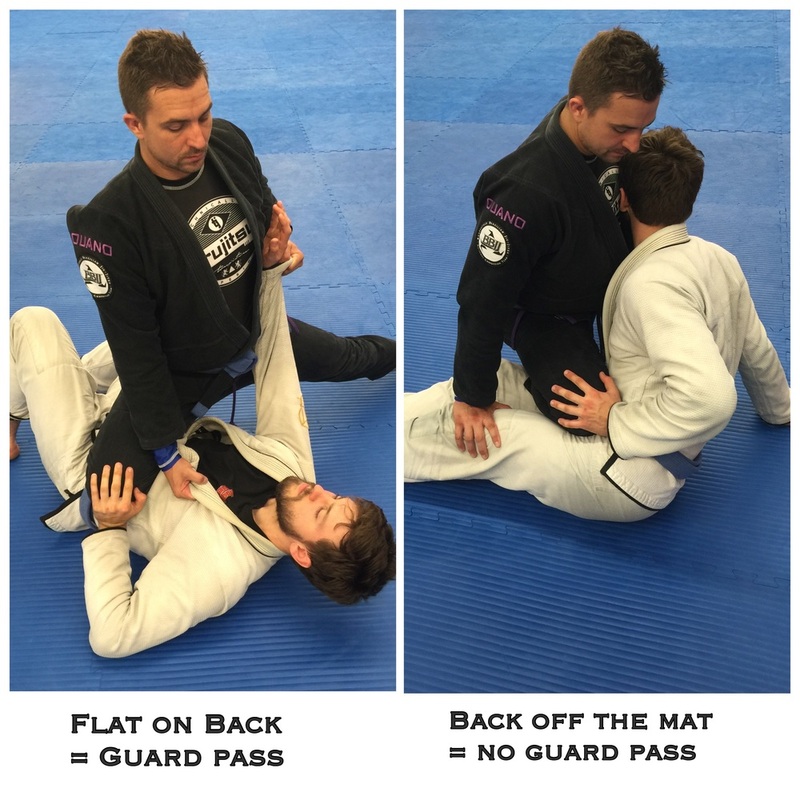 This often provides a few more seconds for a better guard recovery. Never underestimate the power of "Framing".